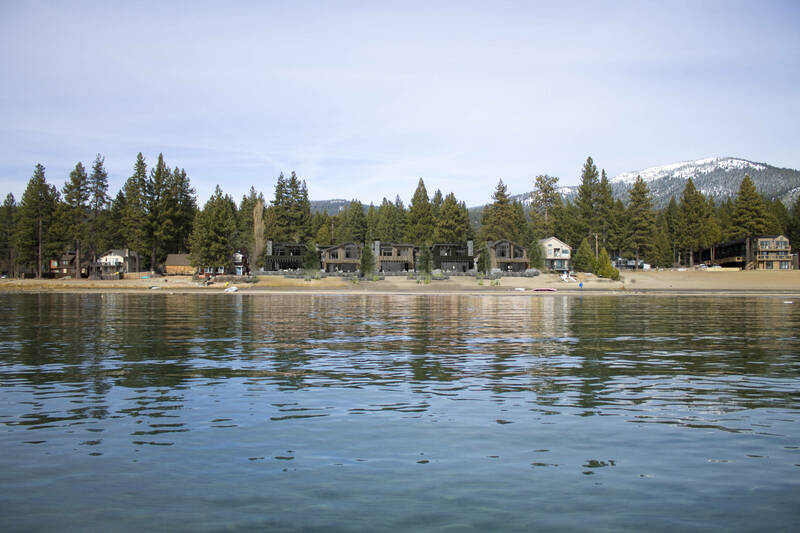 The developer for this Tahoe project was passionate about maintaining the charming quality of King Beach’s architecture while working with a firm able to create designs that are sensitive to the surrounding mountain character. 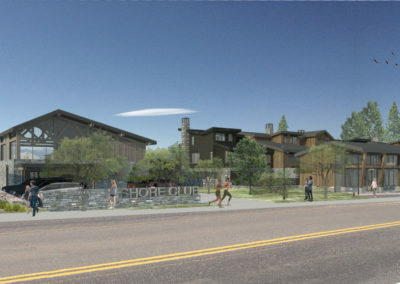 Prior to Feldman’s involvement, the San-Francisco based developer had expressed interest in bringing unique housing options to the funky lakeside art town. 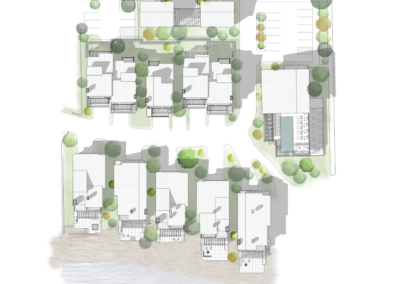 In place of the longstanding Ferrari’s Crown Resort, our design team was asked to create ‘mountain modern’ condos and townhomes. Both developer and architect were sensitive to the long history of the hotel and wanted to respect its scale on the lake. They were also conscious of maintaining the warm family atmosphere associated with the half-century old resort. 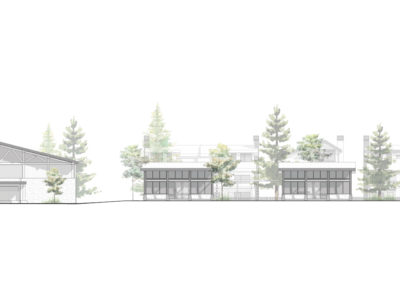 Five single family custom homes will sit along the public beach, with five 3-level condos nestled close behind. Lakeside access is available to each structure, with the waves able to reach the deck of the custom homes at high tide. The expression of each building is exposed to show character and warmth, while the wood driven material palettes of dark brown and black fit smoothly into the rustic environment. 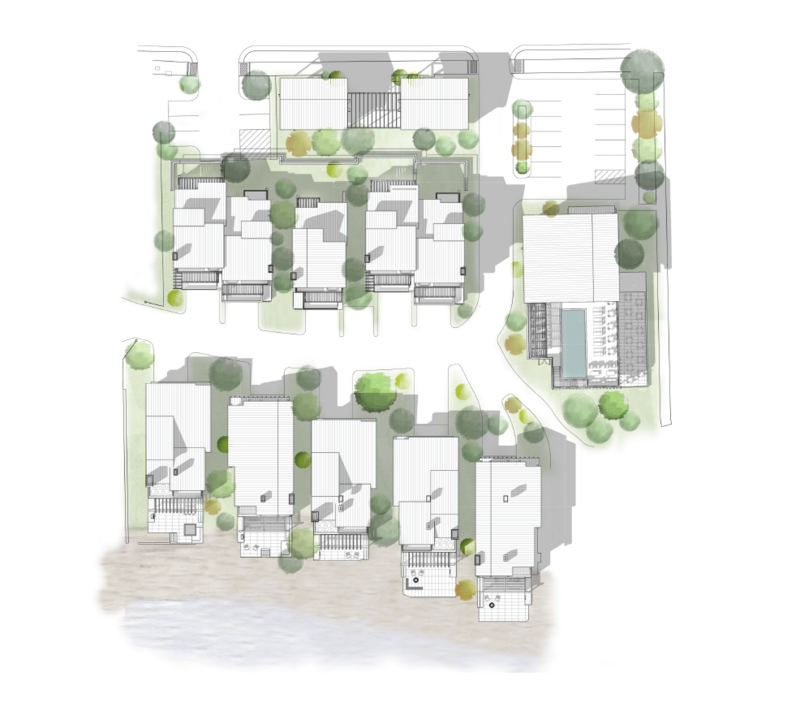 In order to maintain view corridors from the street, the condos sit in pairs, slightly shifted mirror images of each other. Metal pitched and butterfly roofs, as well as a metal trim add a modern sophistication to an otherwise classic silhouette. 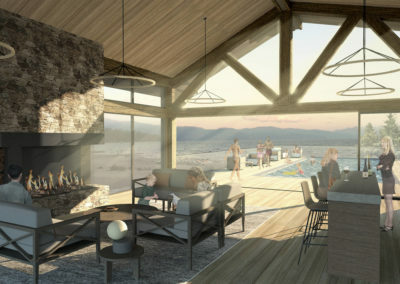 Beside the homes will be a beachside club; the bottom level a restaurant open to the public while the upper pool deck and club lounge remain exclusively for the adjacent homeowners and future hotel guests. Along the street, two retail buildings were designed to hold stores that fit the local aesthetic of the Kings Beach streetscape. 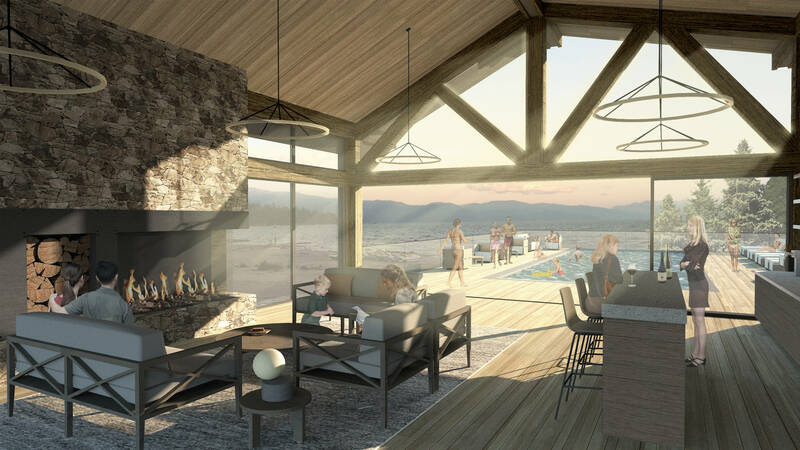 Casual beachside town meets mountain chic as the design process continues on this future Tahoe development.